Odell led Brodies’ market leading Land and Rural Business team between 2007 and 2016 and has many years’ experience advising on major infrastructure projects, compulsory purchase and commercial developments. She is ranked by The Legal 500 and Chambers & Partners for both agricultural law and transport, with the latter commenting that “sources suggest Odell Milne is "one of the top land property experts in Scotland”. Odell has particular expertise on all aspects of compulsory purchase, notably advising on legislation and procedure, managing land acquisition and compensation claims. She also has extensive experience in advising in connection with Private Bill and TAWS procedure. She is co-author of the Stair Memorial Encyclopaedia Volume “Compulsory Acquisition and Compensation”, regularly speaks at seminars and conferences on the topics of Compulsory Purchase and Compensation and contributes articles to a range of Journals. She has also been actively involved in the Scottish Law Commission’s Consultation on Reform of Compulsory Purchase legislation. •	A9 Dualling - Transport Scotland/Jacobs (UK) Limited - Leading the team responsible for the provision compulsory purchase advice and property advice to the project team and for carrying out land referencing to identify and plot ownership and occupation of all land and properties along the entire route between Perth and Inverness (80 miles of single carriageway and 30 miles of existing dual carriageway). •	A9/A85 Perth Transport Futures - Perth & Kinross Council – Compulsory purchase, land referencing and property advice relating to A85/A9 Junction improvements. Work included team meetings with the Council project team to advise with regard to CPO issues, programme and strategy as well as input to project documents; support with drafting responses to objections; and advice with regard to complex property law matters including Council owned land, roads, servitudes and accesses, bridges and water courses. •	Berryden Corridor Improvement Scheme – Aberdeen City Council - Lead CPO support advising the Council’s legal, roads and estates teams in connection with this proposed city centre dual carriageway scheme. •	Stirling-Alloa-Kincardine Railway - Clackmannanshire Council - Provision of compulsory purchase advice and assistance to Clackmannanshire Council in connection with the Stirling-Alloa-Kincardine Railway and Linked Improvements Act 2004 and responsible for compulsory acquisition of land and compensation claims for railway. •	Airdrie-Bathgate Railway - Jacobs UK Limited/Transport Scotland/Network Rail – Compulsory purchase advice and property work relating to the Airdrie-Bathgate Railway Project including compulsory acquisition of more than 1,000 separate plots of land, land referencing and service of notification and advice to the Promoter at the pre-Bill, Committee and Assessor Hearing stages of the project. She advised on compulsory purchase and compensation; promoter’s witness at Committee and Assessor Hearings; agreements with objectors and attendance at objector meetings and public forums on compulsory purchase procedure; and advising with regard to utility infrastructure, wayleaves and servitudes. •	Borders Railway - Scottish Borders Council/Network Rail - Acting for the Council in relation to compulsory acquisition of the land required and compensation work for the Borders Railway project which includes approximately 1400 separate plots in three counties. Responsible for compulsory acquisition of land; compensation claims; claim management and settlement; advice on exercise of compulsory purchase powers; property management legal support (including litigation); and advice relating to utility infrastructure, termination and reconstitution of wayleaves. Keith commenced his professional training in Glasgow in 1976 in the District Valuer’s Office, now the Valuation Office Agency and, after undertaking the RICS examinations and the TPC (the forerunner of the APC), qualified as a chartered surveyor in 1981. In 1982, he joined the Aberdeen firm of FG Burnett and was a partner /director between 1990-2003- at which latter time he semi-retired: since then however he has been retained as a consultant on an ad-hoc, part-time basis. His main professional experience lies in property valuation and related advice with particular emphasis on specialised property asset valuations and compulsory purchase/compensation claims. The majority of his first six years of professional life was with regard to acting on behalf of acquiring authorities in the assessment and negotiation of compensation claims of mainly residential property (but also some commercial property) in central Glasgow where there were numerous comprehensive redevelopment areas dealing with slum clearance/regeneration schemes. Since moving to FG Burnett, he has advised many clients involving residential, commercial and agricultural properties affected by Compulsory Purchase Orders and has negotiated compensation claims on their behalf- mainly in North-East Scotland, but also in many other parts of Scotland. This has involved appearances at Public Local Inquiries into objections to public works and at the Lands Tribunal for Scotland in respect of disputed compensation assessments. In addition, he holds part-time teaching posts at Aberdeen University, The Robert Gordon University and Glasgow University where he delivers lectures on a variety of property valuation issues, including CPOs and compensation assessments, in connection with the RICS-accredited undergraduate and postgraduate courses on offer at these universities. Keith has been a member of his local RICS branch committee for numerous years (and a past chairman) and served on RICS Scotland Scottish Council/Board for several years and was Chairman of RICS Scotland for 2011/12. He is currently head of the RICS Scotland Compulsory Purchase and Compensation Forum. He was a RICS Scotland representative on the Scottish Government Strategy Team in 2011/12 with regard to the updating of CPO etc. advice to acquiring authorities in Scotland and was extensively involved with regard to the recent Scottish Law Commission investigation into Scottish CPO and compensation claim law on behalf of both the CPA and RICS. Archie Rintoul BA FRICS combines his role as Chief Valuer Scotland with leading the District Valuer Services (DVS)’s Transport and Infrastructure Team in Scotland, which is currently involved in acquiring properties for projects such as M74 Extension, M80 Extension, M8 Widening, New Kincardine Bridge, Edinburgh Tramlines , Waverley Rail Link, Forth Replacement Crossing, AWPR and numerous other schemes. Archie has dealt with compensation and compulsory purchase work for most of his 37 years as a Chartered Surveyor, and has gained very substantial experience acting for acquiring authorities in numerous compulsory purchase schemes. He has also appeared as Expert Witness in a number of Lands Tribunal cases. Archie until recently chaired the RICS Scotland Compensation and Compulsory Purchase Forum, and is currently Chair of the Compulsory Purchase Association in Scotland. He is a frequent speaker at conferences and CPD Events on this topic. He is also Depute Head of the RICS Scotland Valuation Professional Group Board, is a member of the RICS Scotland Board and has sat on a number of RICS Scotland Working Groups. Brian Reeves is the Non-executive advisor on the RICS Scotland board and has been a member of various RICS Boards, and Working Parties, including International Governing Council; Knowledge Board; and Dispute Resolution UK World Region Professional Group Board plus the Scottish DR Property Group Board ( as a Past-Chairman ). Brian gave sole evidence for the RICS in the Scottish Parliament during the Bill stages, plus subsequent input, for the recent Arbitration ( Scotland ) Act 2010, and is a recognized authority in this field. Also regularly involved with the preparation of new RICS Practice Statements and Guidance Notes both north and south of the border. With both public and private sector experience he was Head of Scotland for Colliers / Conrad Ritblat for many years and a member of their London Board prior to forming his own firm over 12 years ago. Chaired many Conferences and seminars, many for the RICS, his main involvement is in the commercial property arena, active in Rent Reviews throughout Scotland, often as Arbitrator or Independent Expert, and a long serving member of the RICS Chairman’s Panel. His other activities include Investment, general consultancy, a degree of agency, and compulsory purchase. He was instrumental in the formation of the Scottish CPA, in respect of which he is currently Vice-Chairman. His business and RICS activities has involved him in the International dimension in locations such as China ; Thailand ; Brazil ; South Africa; India; and mainland Europe. Elaine is a partner and the head of the firm’s property and infrastructure department and leads our planning division. She is also a member of the firm’s Operations Board. Accredited by the Law Society of Scotland as a specialist in planning law, Elaine is ranked first by Chambers UK as a leader in her field, known for her “excellent reputation in the market” and is recognized for taking “a balanced, strategic view” and being “constructive with both clients and statutory bodies”. Working closely with our colleagues in property and construction and projects divisions, Elaine advises on all aspects of planning, with particular emphasis on the promotion of land through Development Plans and the submission of major applications. She regularly appears as an advocate in planning appeals and reviews. Elaine is the co-author of Scottish Planning Law & Procedure (2001) and Compulsory Purchase and Compensation: The Law in Scotland (2009). Ian Thornton-Kemsley works from his home near Aberdeen as an independent consultant specialising in compulsory purchase, wayleaves and telecommunications throughout the UK. He is a consultant to Strutt & Parker. After working his way round the world after school Ian took an HND in Agriculture at the North of Scotland College of Agriculture in 1984 and then went onto to do the respected post graduate Farm Business Organisation & Management course at Aberdeen. He still runs the 1,200 ac family farming business He has however diversified from farming; qualifying in 1989 as a member of the Royal Institution of Chartered Surveyors (RICS) following a correspondence course. Ian is heavily involved in advising on valuation matters affecting telecoms leases throughout the UK and on compulsory purchase issues. He wrote the specialist chapter on the valuation of radio mast sites and telecommunication cables in the textbook Valuations: Special Properties and Purposes published by Estates Gazette Ltd (IBSN 0-7282-0418-5). He was heavily involved in the guide to telecoms masts published by the Central Association of Agricultural Valuers (CAAV) in 2010. He has given expert evidence before the Court of Session (Commercial Division), various County Courts in England and Sheriff Courts in Scotland as well as the Lands Tribunal. He is an associate of the Chartered Institute of Arbitrators. In 2012 he was elected as a Fellow of the CAAV under its rarely used rule 1.1.2 as a “practicing Agricultural Valuer of outstanding ability whose election, in the opinion of Council and the Branch in whose area he practices, is desirable in the interests of the Association”. He currently sits on the CAAV property committee and on the SAAVA committee. He is a committee member of the Scottish Compulsory Purchase Association. Ian has been actively involved as a stakeholder in discussions on the reform of the Electronic Communications Code with the Law Commission and the Department for Culture, Media and Sport (DCMS). He has also been consulted by the Law Commission on reform of compulsory purchase in Scotland. As well as his day job he delivers one module each year at Edinburgh Napier University (which includes statutory valuation) and has provided RICS training courses on Compulsory Purchase and has spoken at RICS CPD events on Affordable Housing and Development Viability. 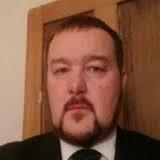 He has recently joined RICS Scotland Valuation Professional Group Board and has sat on a RICS Scotland Working Group.